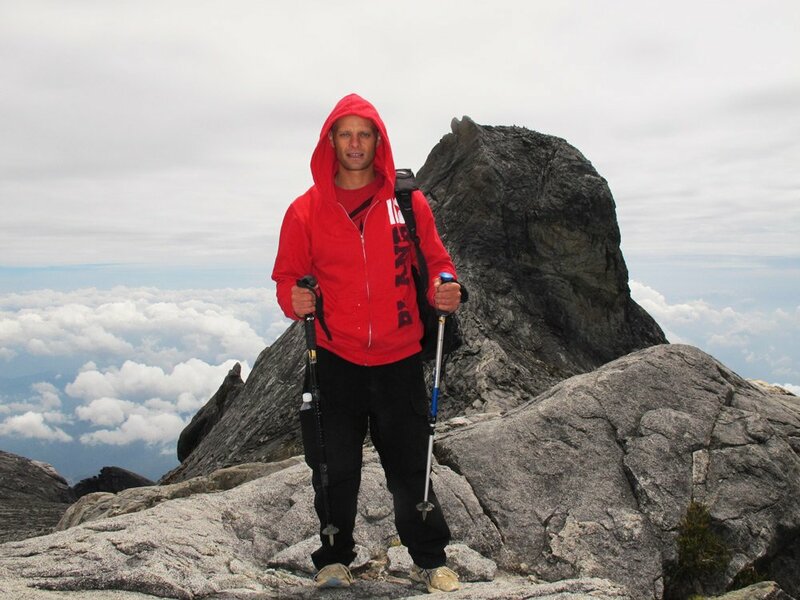 Climbing Mount Kinabalu is a great experience but an expensive one. In this blog post we discuss all climbing package options, how to do the hike, accommodation, best season for hiking and what to expect. At 4101m above sea level Mount Kinabalu is the tallest mountain in Borneo and one of the highest in South East Asia. Low’s Peak is the highest point and can be climbed without any special gear or training. 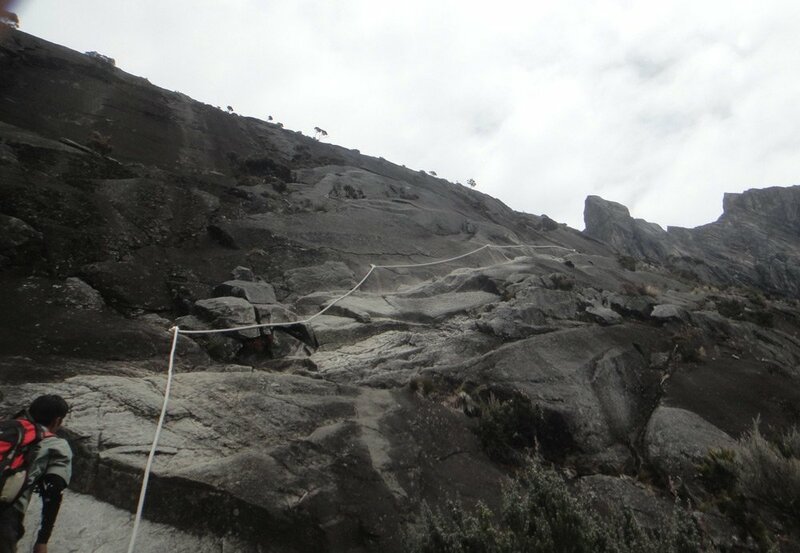 It is a steep hike that involves the use of some guide ropes scrambling up and down the steepest parts. The hike is tough when done in one day and the views spectacular. Unfortunately like most other longer hikes in South East Asia it is not possible to do independent and thus basically impossible to do for cheap. Climbing Mt Kinabalu, start of our climb, still a long way to go! Mount Kinabalu is the highest peak in Sabah’s Crocker Range. The landscape is really beautiful and range from tropical rainforest to subalpine near the summit. Climbing the mountain is steep and quite tough with more than 20 000 people attempting to reach Low’s Peak per year. The route is easy to follow, but can be slippery and visibility bad when it rains and the fog gets very dense. 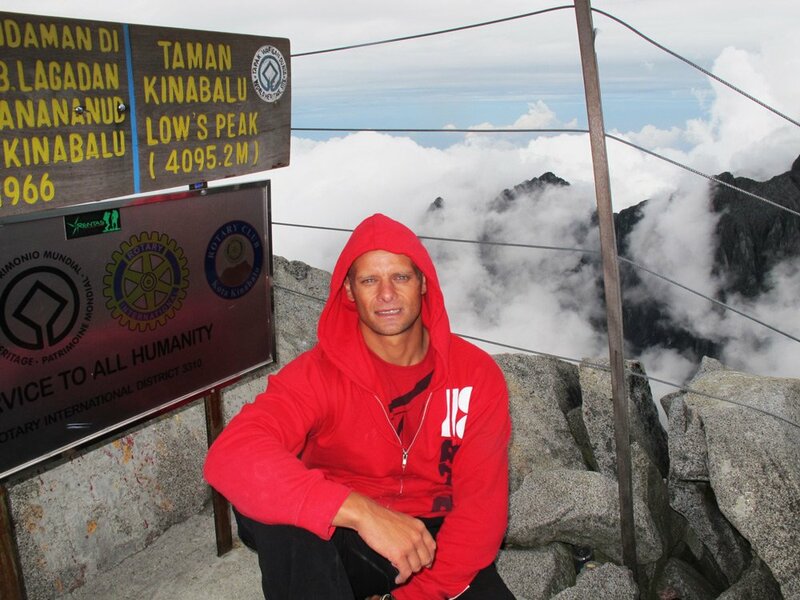 Rules for climbing Mount Kinabalu changed significantly in the last couple of years. I climbed it in 1 day, splitting the compulsory guide with 4 other hikers in total the climb cost me about $50, since 2015 one day permits are not available any longer, you can only do the hike over 2 days costing about $400! The hike was tough with an elevation gain of 2229m, I worked as a dive instructor for 3 months on Sipadan doing no walking for months before doing the Kinabalu climb! I was sore for about a week afterwards! My descent was very slow and I was thankful I found my guide with a phone he used as a torch in the dark and pouring rain on the way down. Mount Kinabalu and Mount Kilimanjaro are two mountains that I did climb that I feel were amazing, but just too ridiculously expensive! Early morning, the start of the hike was not too tough. 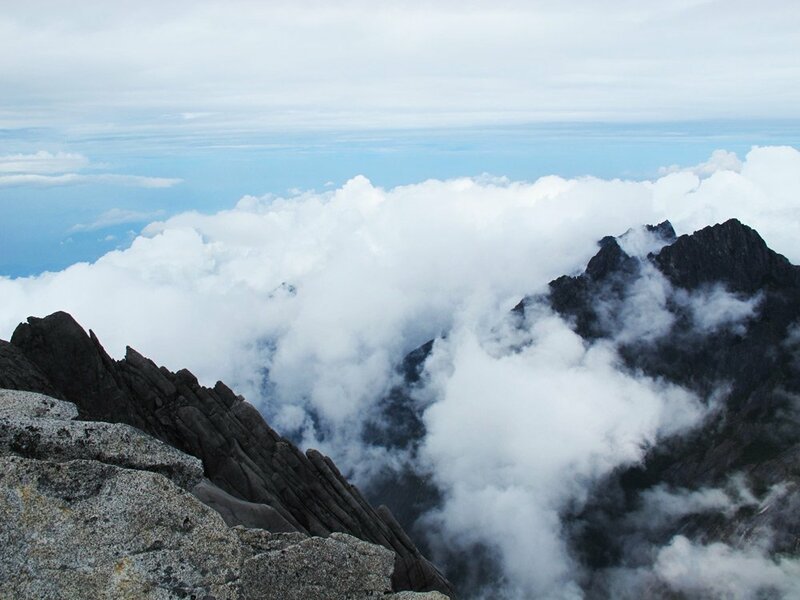 There are several options for climbing mt Kinabalu; the two day one night option (2D1N), the three day 2 night option (3d2N) and hiking Mount Kinabalu via Ferrata. There are many companies offering packages to climb the mountain. Sutera Sanctuary lodges are the cheapest, they own the accommodation on the mountain and all companies will organize accommodation through them, adding to the price. 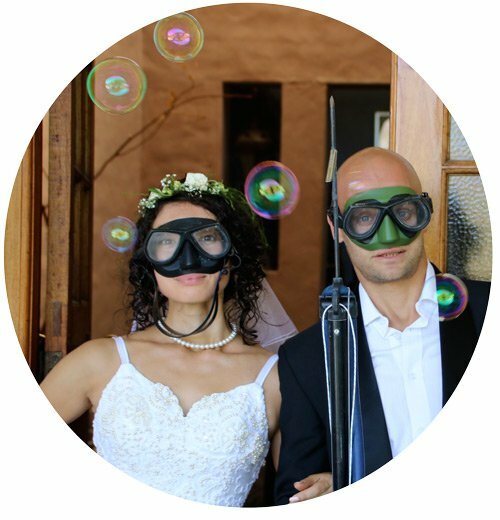 Booking confirmation and what is included in the package is clear which is nice. Sutera Sanctuary website not great (website down January 2019), booking online is difficult. Sometimes slow to respond to emails. Packages do not include transport. Due to competition the price difference between packages offered by different companies is shrinking and companies don’t only compete on price, but offer all inclusive packages and try to give you a better experience. 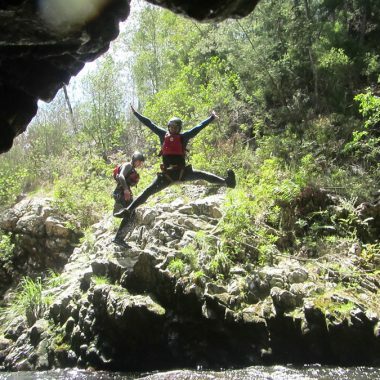 River Junkie Tours a Borneo-based tour operator is a reliable, trustworthy, budget option for Mt Kinabalu. Easy to reach, very responsive. Excellent reviews on Tripadvisor and other websites. They will price match if you find a cheaper deal with a different operator. Hire porters: The rate is RM8 for each kg of luggage. – don’t know why you would need a porter to carry your stuff for one night. 2D1N packages can now only be confirmed within 30 days of the climbing date and are subject to limited availability. Scrambling up some steep parts with the help of the guide ropes. Cut-off time for starting the hike is 10:30, try to get to Kinabalu Park Headquarters early. Register, receive tags and meal vouchers, pick up packed lunch from restaurant. Meet your guide go to starting gate together. Hike 6km to Laban Rata Resthouse (3300m above sealevel), check in. Hike is mainly stairs and rocky terrain with the last km the toughest. Stay in dormitory, bedding provided, bring clothes for cold weather thermals, beanie etc. After 4 hours I am above the clouds! 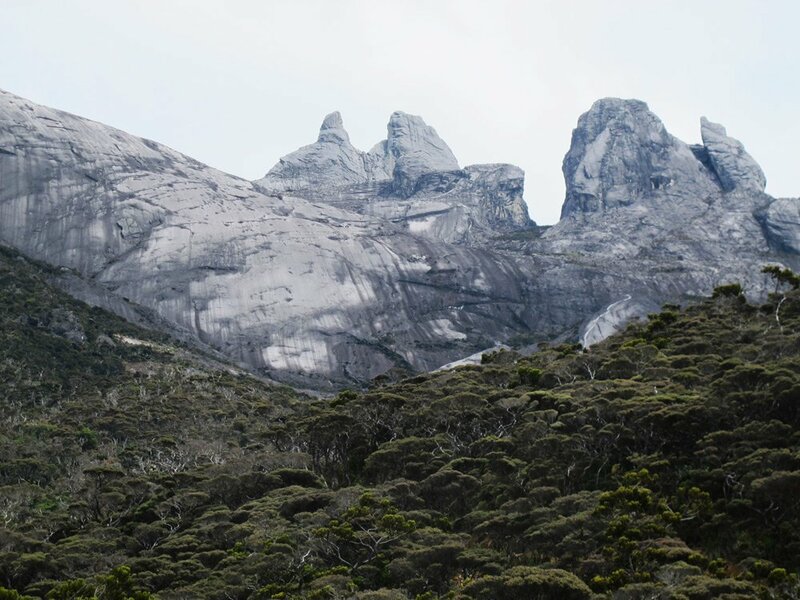 These packages don’t take any longer to summit, you get an extra night around Kinabalu park, combined with extra activities. The advantage is that these packages can be booked more than 30 days in advance. A via ferrata (or ‘iron road’ in Italian) is a protected mountain pathway consisting of rails, cables and bridges on the steep rock face. By using the via Ferrata, steep rock faces that can normally only be climbed by mountaineers and rock climbers with experience can be climbed by anyone of avg fitness, even without any experience. The highest point of the Mount Kinabalu via Ferrata is 3,776m, the route has a length of 1.2km and a vertical height traverse 365m. 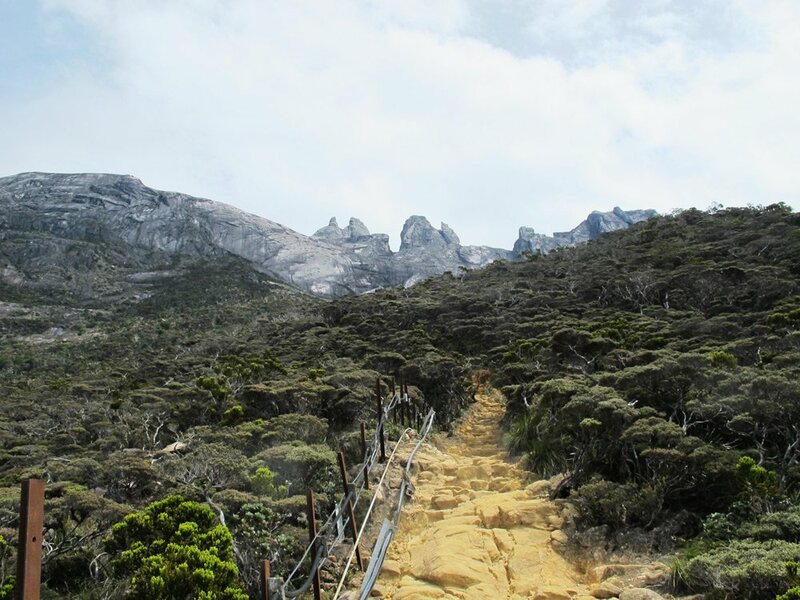 The Mount Kinabalu climb via Ferrata starts at about RM2000 ($510), there are various routes available. Beautiful scenery climbing mt Kinabalu! 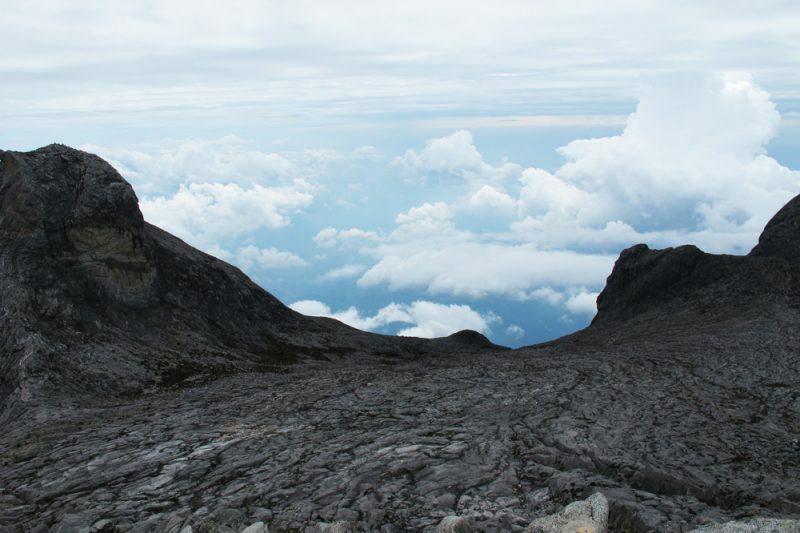 The best months to climb mt Kinabalu are February, March and April the dry season. The worst time is October to January during monsoon season due to heavy rains. Summit climb is sometimes cancelled during heavy rain, climbers have to go down after spending the night in the resthouse. 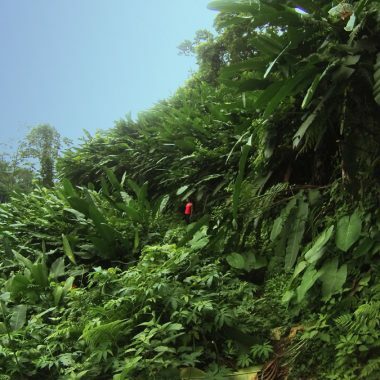 Backpacker Budget Kinabalu Valley Homestay – For $10 per night, room is a very good deal. Good location near Kinabalu park, friendly owners, shared bathroom, use of kitchen great for budget travelers. Water bottle with hose – You can drink water without having to take the bottle out of your backpack. Making it to Low’s Peak, the top of Mount Kinabalu in one day!